The Excel Sportek Mobility Scooter has a sleek modern design, with a choice of 3 vibrant colours, the design team have made a unique choice with scooter, by relocating the batteries right at the back of the scooter is has enabled them to add an additional handy lockable under seat storage compartment into the design on the Excel Sportek Scooter. 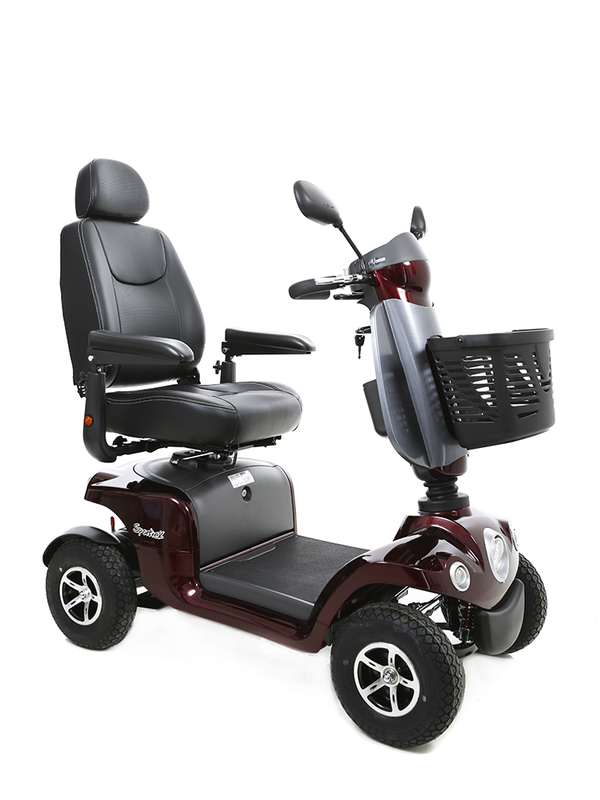 The Excel Sportek Mobility Scooter seat has a lot of adjustment so finding your optimum seating position is simple with our easy-to-adjust captain seat. Adjust the height, depth and backrest angle to suit your own driving position. That coupled with our fully adjustable tiller and extra legroom means the Sportrek is the ideal scooter for the taller person.